Home / Blog / Is your hive queenless? If you’ve gone through your colony and can’t find eggs or the queen how do you check its queenless before purchasing a new queen (from a reputable beekeeper)? This is where having a second hive comes in handy……..
Take a frame of eggs from another disease free hive – shake off the bees into the colony they have come from and add the frame of eggs to the colony which is possibly queenless. Mark the frame with a pin. 3 days later pull out your marked frame if you have queen cells that are charged (with copious amounts of Royal Jelly) then your colony if most certainly queenless. If you only see worker cells then there is a queen already present and you just need to find and mark her (see my later tip on finding illusive queens). 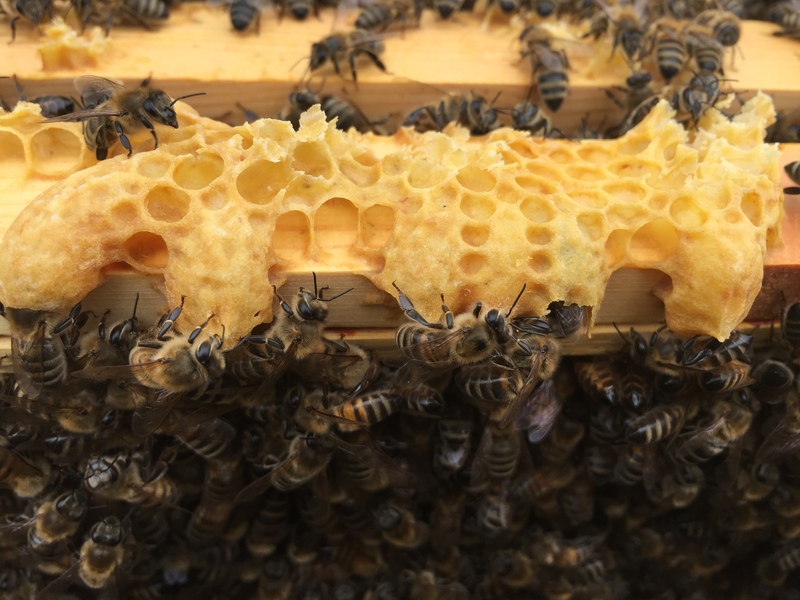 If you find queen cells on the frame of eggs you introduced you have a decision to make…..either keep the best 2 queen cells OR…..destroy the queen cells and introduce a new mated queen (see my tips on introducing a new queen).